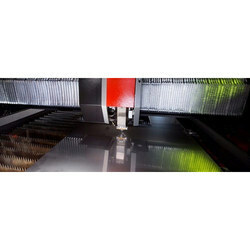 Our company has attained a renowned place in the market for rendering SS Laser Cutting Service. These are extremely admired in the market for flexibility and timely completion. Along with this, provided service is rendered at nominal costs to our valued customers. IPG LASER SOURCE FROM 500 WATT TO 6KW AVAILABLE FROM INDIA. All kinds of precision machining jobs including making of all type of gears, bevel, helical, spur and worm gears. Repairing all types of dewatering pumps, impellers and vacuum motors. We assure you that we will effectively respond around the clock. Phoenix Fabricator rose up to earn a leading posting in the industry having strong perspicacity in manufacturing, supplying precision designed Laser Cutting Machine Services. The body of the machine is constructed using optimum-grade stainless steel with the aid of cutting-edge technology in strict compliance with best quality. we offer CNC Laser cutting is typically used for industrial cutting of thick materials up to 12mm. 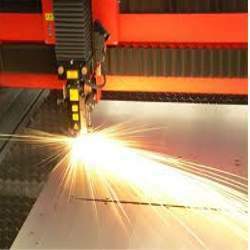 Laser cutting works by directing the output of a high power laser onto the material to be cut.